Sewing is my joy, my therapy. My mother was a seamstress and my childhood memories are full of the hum of her sewing machine and the kitchen table being covered by an assortment of fabrics. As I got older she would often show me the basic functions of the machine and take turns making small items for my dolls and teddies. Years later when I had my first child I rekindled my love of creating and stared to play around making small items and even selling some in my friend’s shop. This drove me onto doing a 2 year course in fashion design which really above all else gave me a love of choosing good fabrics and finishing my garments well. I now focus mostly on children’s clothes which I sell on my website and through Instagram (Links below). 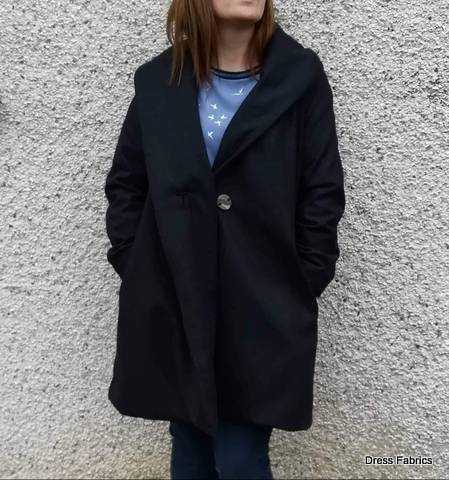 For this blog post I choose the Oslo coat pattern which I bought online in pdf form from www.tessuti-shop.com . I printed them at home which I find so much easier as you can shop for them online while the kids are in bed. Print only the size you need and being able to access the pattern as many times as you like. Maeve sent me 2 1/2 metres of this lovely lightweight charcoal grey wool blend and 1 1/2 metres of a chocolate coloured lining, interfacing and some lovely coat buttons. I made the mistake previously of using a fun cotton print to line a coat but my arms did not slip into the sleeves as easily as with proper lining which led to the cotton tearing. 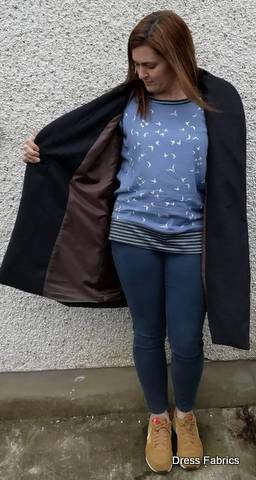 I know coats can seem like a huge project to take on but if you have been sewing for a bit and know your way around a pattern then I would encourage you to give it a go. There are no tricky finishes, no overlocker needed as all the seams are enclosed. It does say overlock an inside pocket piece but it’s not nesscary. I like to break projects like these up to make them simpler. The cutting alone can seem a mammoth task but clear off the kitchen table and pin everything down before you cut. Take care also to measure the sleeve length will suit you or you will end up doing what I did and realise they are too short and need to cut some more while adding an inch or two to the pattern length. Iron on your interfacing and clap yourself on the back for a job well done. In the next session I started the sewing the outer coat. Taking care to line up every single notch given. The directions for the collar attachment caught me a bit and I did need to reread it out loud to get exactly where everything needed to go but again follow the notches and they will see you right. I did a bound button hole on this coat but a large pop button or regular buttonhole would look as well. I was delighted with how this coat turned out. 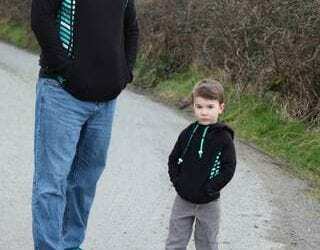 The fabric is sharp and smart and would take you through Autumn/Winter as well as any cool Irish day. This fabric would also lend itself well to a lovely duffle coat I think. Thanks Shelley for a brilliant blog post and your coat is Fabulous. Hi, Amanda from Deriving Mommyhood to share my latest make for my husband! Meet Louise , Guest Blogger for Dress Fabrics. 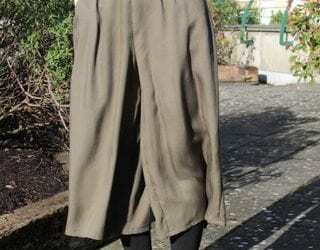 Louise has hacked the the By Hand London Holly trousers pattern to make these amazing culottes.